Future Kitchen is an attempt to radically imagine possibilities for the community we live in through the form of recipes. It is a project developed by the Gate Theatre's Young Associates, with direction from theatre director, Lynette Linton. Lay out 2 houses of parliament and lightly dust with a heaped jug of honest politicians and public servants. Make sure to use sieve to prevent any undiscovered clumps of corruption making it into the final batch. The performance builds on the form of a TV-style cooking show, providing space for the audience to invent their own recipes for change.The idea is based on the work of German installation artist, Folke Kobberling, who's project, Transit Kitchen, was an inspiration for us. 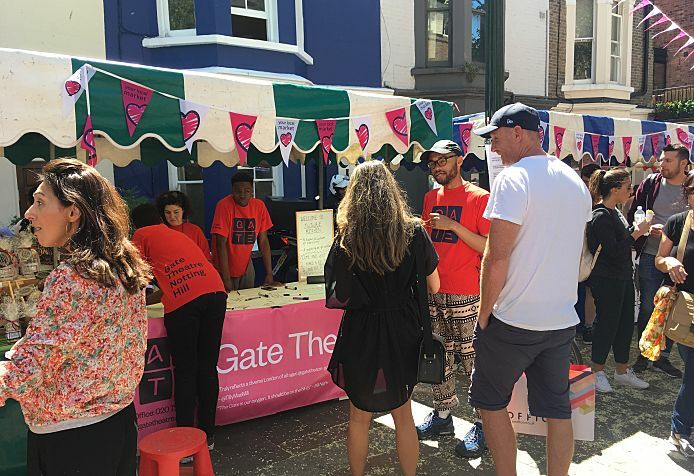 The first outing for the Future Kitchen was on 27 May 2017 at Portobello Market for New Youthquake.